revealed as well, because they need not fear the kitrug - and prosecutions. This is the meaning of the verse "Sheep (are used) for your clothing,"
in Yirmiyah (50:17) "Seh Pezura Yisroel - Israel is like dispersed lamb." 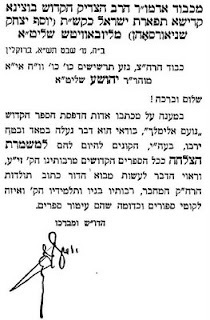 LeShem Yichud: Two Pieces of Advice." "One year old, lacking sin," as we just explained. or Izim is the same wording for audacity, brazenness and strength - Azus. specifically was this said during the plague of hail? Shabbos 88b) etc. The holy Torah itself is [written using] holy letters. contains the entirety of those seventy languages. specifically through foreign languages, this is a very deep thing indeed. purpose of the unifications and upliftment of the holy sparks. clearly [without translation] you do not purify them." to study and understand what he is praying. they said (ibid 19) "Whoever benefits the public no sin comes his way." public regarding Divine law and words of mussar and character refinement. people] then for tens, and if not for tens for even one [person]. for those who benefit sinners, wonder of wonders!